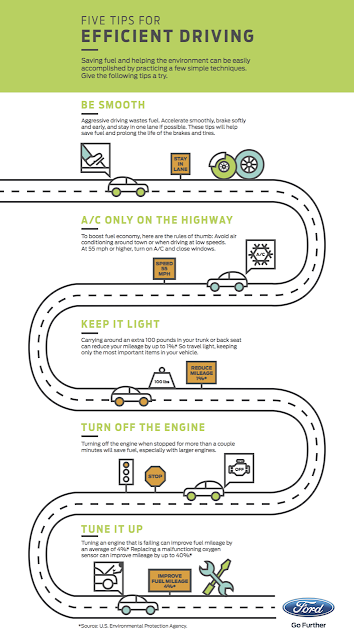 Looking for Ways to Save Fuel? According to the Environmental Protection Agency, greenhouse gas emissions from transportation accounted for 26 percent of total U.S. greenhouse gas emissions in 2014, making it the second largest contributor behind the electricity sector. Now I would bet, that just like me, you are always going around your house turning off lights to save money and energy. We know this decreases our greenhouse gas emissions and makes a difference to not only our electric bill, but our planet as well. And just like me, I also would bet that you work hard to save fuel. 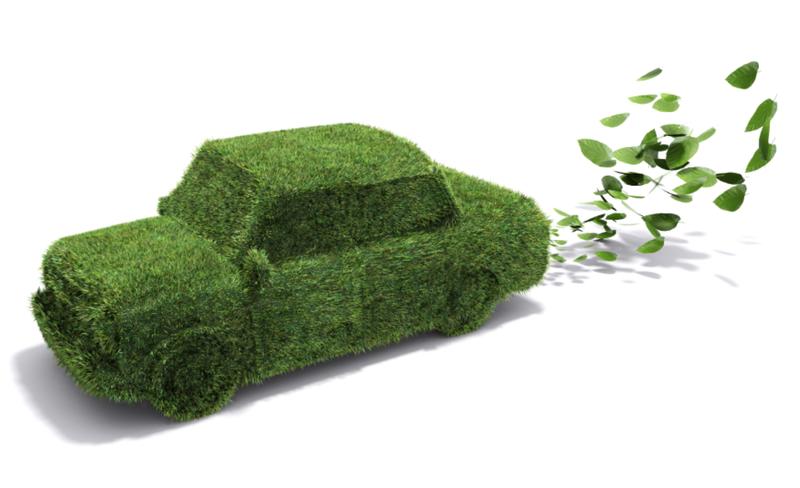 Greenhouse gas emissions from vehicles are dependent on three factors: the vehicle, the fuel and the driver. The driver portion holds potential for substantial emission reductions at minimal cost, but is often overlooked. 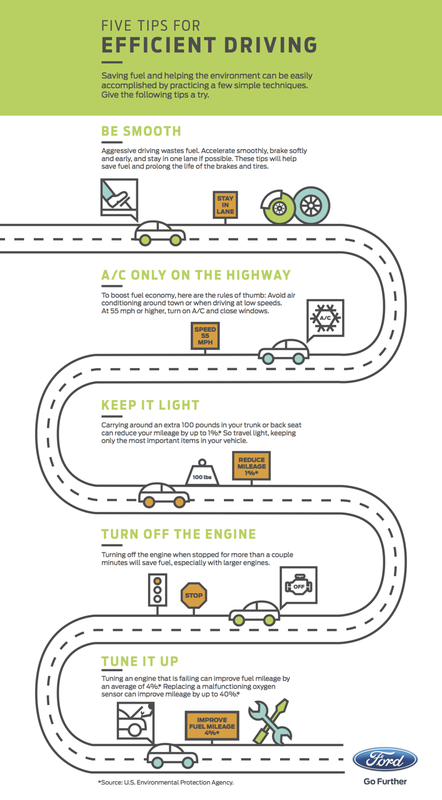 By following these simple steps from my friends at Ford Motors, drivers can save fuel, prolong the life of their vehicle and its parts, and reduce their environmental impact. Use the A/C only on the highway: Only turn the air-conditioning on at speeds of 55 mph or higher...living in Florida, not sure this is practical all of the time but it certainly has me thinking of the times I really don't need AC. Turn it off: Turn off the engine when you stop at stoplights or stop signs for more than a couple of minutes. Valuable tips, Gonna follow these steps to save fuel in summer days. Thanks for sharing this information. Useful tips. I like your blog. Thanks for sharing. Great tips. Nowadays these tips are most important while driving.